Just the other day Philly rapper Freeway released a new single called "Jungle," which will be on his new album coming soon. 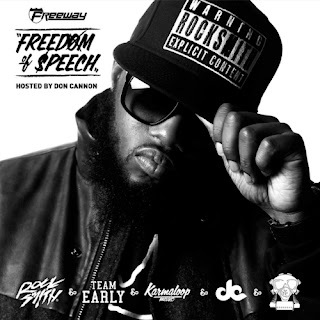 But before that, he wanted to hold fans over and released a mixtape called Freedom of Speech, hosted by Don Cannon. No offense to Cannon, but he needs to chill with every like 30 secs tagging these tracks with "The The Cannon!". Anyway, there is 16 tough tracks featuring production from Thelonious Martin, Jake One, and more. Stream and download below.